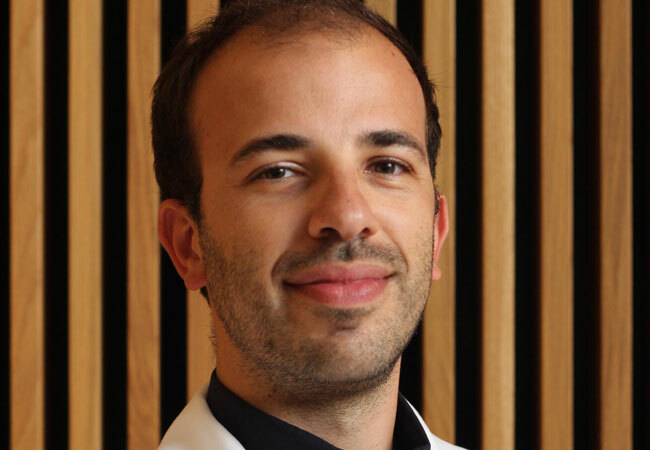 Following ten years at the renowned University of California San Diego (UCSD), cardiovascular researcher Dr. Nuno Guimarães Camboa is coming to Goethe University. He was lured by the DZHK (German Centre of Cardiovascular Research), which has 28 locations in Germany, one of which is Goethe University. The native Portuguese has been awarded a DZHK junior research group grant and will receive € 1.25m in the next five years to create a research group dedicated to basic research on cardiovascular diseases. A transcription factor is at the centre of Dr. Nuno Guimarães Camboa’s work. This is a protein which supports the copying of the DNA of the genetic code, “translating” it to RNA. From his previous research projects at the University of California, the junior researcher knows that a specific transcription factor, TBX18, is typically present in three cell types: smooth muscle cells that are found in vessel walls, pacemaker cells in the sino-atrial node (the structure responsible for setting the rhythm of cardiac contraction), and activated connective tissue cells in the injured heart. All three cell types are involved in dangerous cardiovascular diseases: dilations of the aorta (aortic aneurysms), cardiac arrhythmias and morbid proliferation of connective tissue in the heart (cardiac fibrosis). “We believe that TBX18 affects these cells’ functions”, says Guimarães Camboa. “This factor could therefore play a role in certain cardiovascular diseases.” With his DZHK junior research group at the Goethe University Frankfurt, he wants to investigate which genes are regulated by the transcription factor. The biologist is also planning the targeted inactivation of TBX18 in the relevant cell types. The consequences of this inactivation on the function of the cells will subsequently be closely analysed. “We thus want to better understand the signalling networks active in specific types of cardiovascular disease and hope to thereby improve their early detection and treatment”, explains Guimarães Camboa. Guimarães Camboa is coming to the DZHK partner site at Goethe University after ten years in the US. He both completed his doctorate and carried out a four-year PostDoc at the University of California. He previously concentrated on the heart’s formation during embryonic development. With the junior research groups, the DZHK wants to attract talented and qualified young scientists from Germany and abroad, and provide them with scientific independence early on. In addition to leading a research group, the young scientists also have teaching duties, so that they can qualify for a professorship.